Learn advanced design techniques in Lesson 7 of our After Effects Fundamentals course. 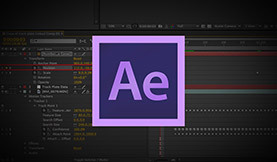 We’ve arrived at lesson 7 of our 10 part Adobe After Effects Fundamentals course. So far we’ve learned all about the After Effects interface, parenting, compositing, text layers, shape layers, and manipulating footage. In today’s lesson we will learn a few advanced design features in After Effects. 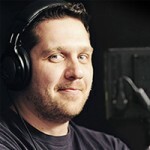 Want to learn more about using particles or the puppet tool? Check out our water Fountain tutorial or our post on rigging. If your interested in taking your particle skills to the next level we highly recommend trying out Trapcode Particular. It has many more features than the built in tools in After Effects and is the industry standard when it comes to particle generators. You can download a free trial from Red Giant’s website. We will post new lessons every Monday for the next 2 weeks. Check the Premiumbeat blog for future lessons. And while you’re there you can watch more After Effects tutorials, read the latest filmmaking news and pick up some post-production tricks! What did you think of this lesson? Have any questions? Let us know in the comments below.